Under the guidance of the TextileLab Amsterdam, ten Master Industrial Design (MID) students worked on design projects that focus on the unethical and environmental unfriendly realities of the current textile and clothing industry. TextileLab Amsterdam acted as a client, provided the students with input and inspiration during a kick-off at the TextileLab and during feedback sessions along the process. 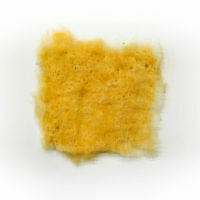 In addition, they gave a lecture and workshop on bioplastics. The project concluded with a presentation at Waag. During the Bioplastics workshop held at the Waag in Amsterdam on 7 November 2018, the students worked on designs aimed at the unethical and environmentally unfriendly reality of the current textile and clothing industry. 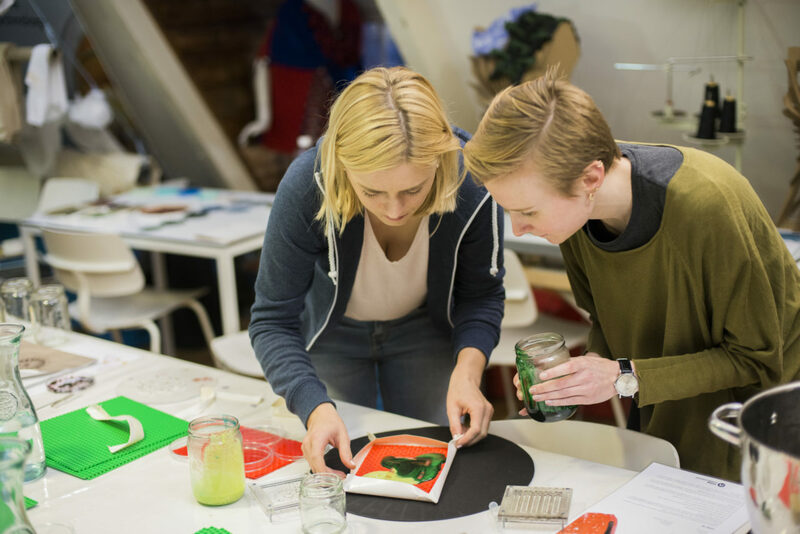 The workshop, with particularly colourful results, was given by Ista Boshard and Cecilia Raspanti of the TextileLab and focused on the topic of BioFabricating materials. 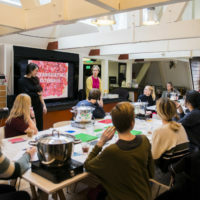 The session consisted of a lecture giving an overview of possibilities, techniques, key world-wide researchers active in the field and a collection of recipes. The hands-on session gave students the opportunity to experience how to create their own bioplastics and bio-silicones, by following and tweaking recipes. 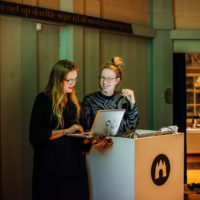 The students presented the work resulted from the Fabrics and Fabrications programme during an evening with talks & exhibition held at Waag in Amsterdam on 7 March 2019. Elina Alekseeva, Alessandro Celli, Marion Dupuis, Teresa Feldmann, Elena Genesio, Sandipan Nath, Honor Newman, Lucija Novosel, Isabella Monaco, Kevin Shek.